This is an unofficial Frank Zappa (fan-)site ! 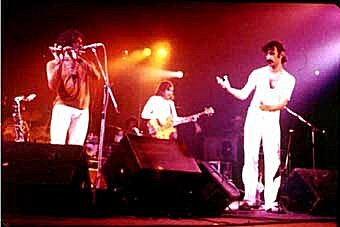 The only purpose of this site is to promote Zappa music and to inform all fans worldwide about past concerts. The name of Frank Zappa is never used for commercial purposes. Who was behind the DPFRCZDR Team (r.i.p.) ? This web site is made only to give some information about concert recordings circulating amongst Zappa collectors. This is no catalogue for so called "bootlegs". I don't trade. Requests are useless. It's not at all pleasing, that the Zappa Family Trust (ZFT), lead by Gail Zappa herself, has begun a worldwide crusade against everyone who, justified or not, might be suspected of using some material of the master. 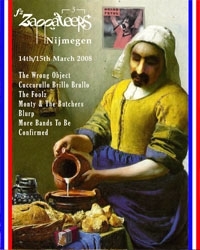 It might be understandable when Kill Ugly Radio is forced to stop offering the "bootleg of the month" for downloading, but it looks very strange, when well-known cover bands like Bogus Pomp (US), Project/Object (US) or Sheik Yerbouti (GER) are forbidden to play Frank's music live. It's like the Vienna Symphony Orchestra isn't allowed to play Beethoven and Mozart ! Btw, Frank himself has covered several tunes written by other artists. It also looks absurd when the ZFT ist trying to get rid of the greatest annual European Zappa festival, the Zappanale in Bad Doberan, Germany. To avoid possible legal treatment I touched up all of Frank's pictures and even changed the subdomain of this web site. That's pure paranoia, really ! Please sign the petition against aggressive action by the ZFT. For more info ask the Zappateers. "At that very moment noone tries to bootleg my concerts, people have lost interest in my music." "The present-day Zappa collector refuses to die." If you have got any of these shows, please let me know. I only need two more shows to complete the 88 tour. On 13th September 2003 copyright laws in Germany were tightened up drastically. Copying of music media except for private safety copy was as well prohibited as giving them away to a third party. At this time any trading is made impossible. Sorry folks, but blame it on the music industry. Seems they try to criminalize nearly every music lover even people who won't ever make a buck with their low quality bootlegs and won't cause any commercial damage. Just for your information: I have bought every single official Zappa release myself on LP/CD, sometimes both issues. If you want more, I feel with you. 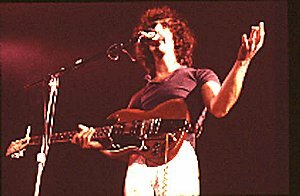 United-Mutations Zappa Page - discography and information about bootlegs, shows etc. Once upon a time there were two music maniacs. Only 16 years old they discovered the strange music of a certain Frank Zappa and his combo called "The Mothers of Invention" in the early 70's. Surprise and confusion about this new musical dimension rapidly changed into boundless enthusiasm, which lasts until today. The breathtaking live statement "Roxy & Elsewhere" was a milestone in the record collection of our two young music lovers. The collections have grown over the years, the album is a milestone even nowadays. It should be mentioned that at this point none of the two knew each other and this would last for some time later on. Phil was allowed by his mother to pay homage to F.Z. in Paris, while Didi had to be content with his record player. "A boy at your age won't travel to a rock concert in Cologne" his parents told him concerned about his musical taste. Some time ago Didi built up this web site, and in January, 2001, Phil stumbled over it by chance. Cautiously a first exchange was confirmed, a second one followed and then barriers broke. The "Real Crazy Zappa Devotees Work Team" was born. Phil encouraged Didi to record his old venyl treasures on minidisk, so he could transfer them on CD with improved sound quality. In didn't take a long time and the German-French co-operation changed into a transatlantic alliance. Forest from the US joined our two fellows contributing extraordinary musical items to their common work. Moreover Phil made contacts to a French fanclub, which helps to keep our Zappa universe expanding.